Hand forged with meticulous attention right down to the finest details, this Ryumon Samurai katana has the look and feel of a one-of-a-kind, custom-designed collectible piece that costs hundreds more. The impressive 1065 high carbon steel blade is intricately folded to give each blade a distinct look and beautiful finish with a commanding presence and heavy blood groove for authenticity. 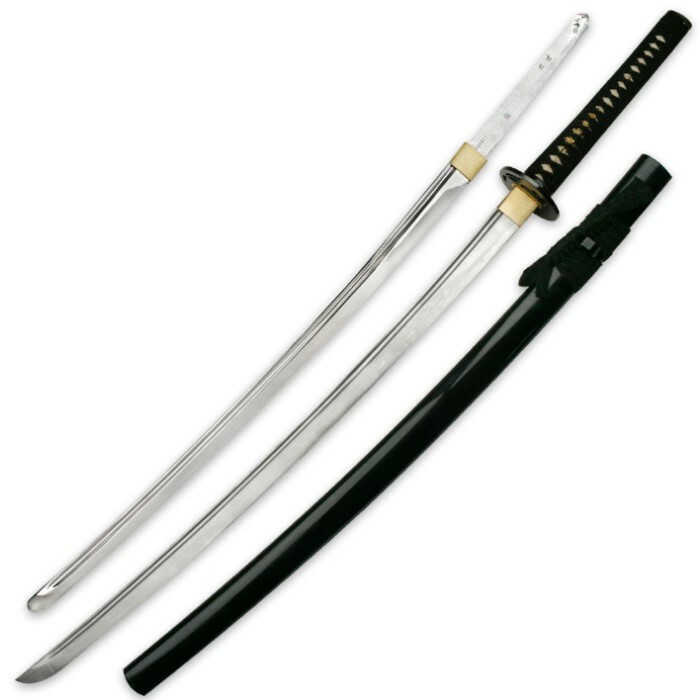 This one is an even sweeter deal, coming to you with an additional unsharpened blade that is easily interchangeable with the sharp one, allowing you to perfect your Samurai sword-wielding skills safely. Fine details such as the cord-wrapped genuine ray skin handle, custom cast tsuba with matching kashira (pommel) and polished brass accents culminate in a spectacular Samurai katana you will treasure for decades! It includes a hand-carved high-gloss lacquered scabbard and comes to you complete with a certificate of authenticity, sword bag, reference guide and cleaning kit to keep it in pristine condition. For more than 2600 years, the "City of Treasure Sword", Longquan, is known for making the best swords in the world. Located within the border of South Zhejiang, and under the Fengyang Mountain, Longquan is rich in resources which are ideal for crafting swords. During the period of Warring States (770-476 B.C. ), a famous sword maker named Ou Yezi created the most renowned sword in Longquan. Since then, the secret arts of crafting swords have been passed down from generation to generation. 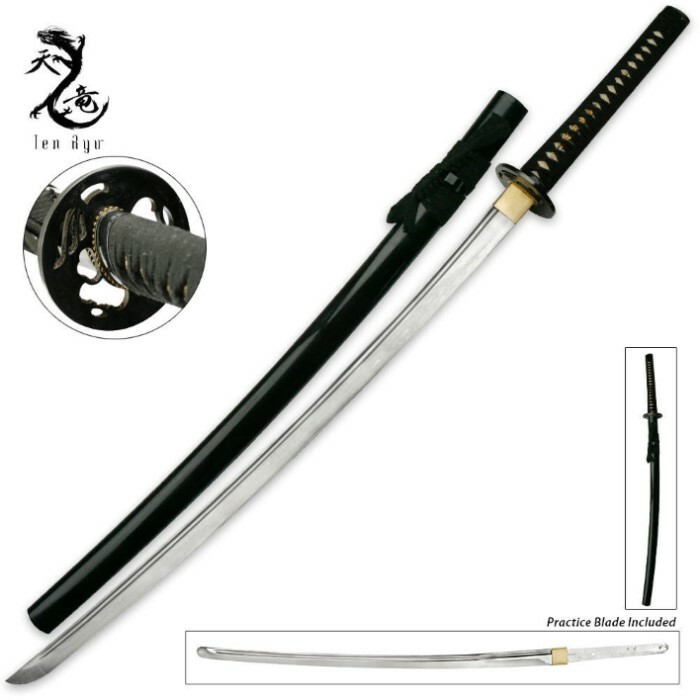 Ryumon swords are hand forged by master craftsmen with years of experience from Longquan. These master sword smiths combine modern knowledge with traditional secrets to produce superior quality swords known for their durability, sharpness, and exquisite craftsmanship. Click here for more Ryumon swords.